According to information in an OIA about health and safety issues at the Mataura plant – recently received by CANA – the Ministry of Business Innovation and Employment also has expressed concerns about the safety of the technology. CANA has heard that two managers have already walked away from the plant citing safety concerns. “Solid Energy has no money to pay for the at least $1.6 million required to get the lignite plant in Southland going and is right to walk away,” said Rosemary Penwarden from Coal Action Network Aotearoa. “But GTLE should also walk away. 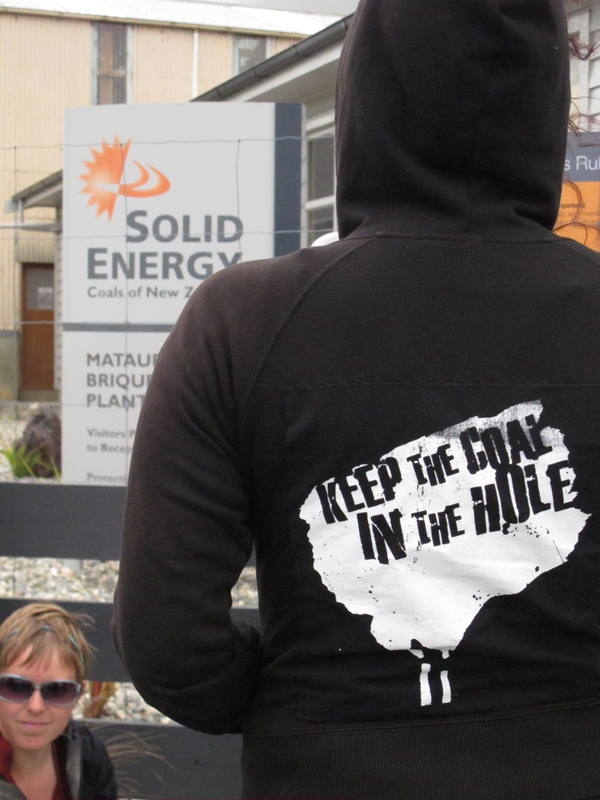 It’s now been three days since Solid Energy said it was about to make a statement about the future of its failing lignite briquetting plant in Southland (1). Yet there has been no announcement. This delay confirms reports Coal Action Network has been getting from on the ground at Mataura: that the plant is having all sorts of difficulties and that Solid Energy and partner GTL Energy Australia are in dispute over its future. There appears to be a dispute between GTL Energy, which owns the still-untested technology, and Solid Energy, over who will pay out another $1.6m required for, amongst other things, a drying shed needed to dry the briquettes: somewhat of an oversight that they didn’t foresee their briquettes not standing up to Southland’s weather. Ongoing issues with the briquettes, that first spontaneously combusted, and now are having problems drying out in the cold Southland weather. The drying shed is the latest proposal to solve these difficulties. But the product still appears to be unstable. It now needs a new consent to increase its water intake from the current consent of 58,000 litres a day to a massive 400,000 litres of water a day. The company claims the production process has passed a “five-day test” but locals, who’ve been watching closely, all dispute this. Maximum plant running time has been three days – at most. The facility has been dormant for six weeks. The plant has so far cost $28m. “Both Solid Energy and GTL must walk away from this untried and clearly failing technology. GTL are desperate to keep this going, but they are dreaming; the world’s awash with cheap coal that nobody wants. Lignite is a dead loss,” said Ms Penwarden. She also noted that GTLE had been suffering from financial problems and there are rumours that its North Dakota briquetting plant had closed and would be sold.